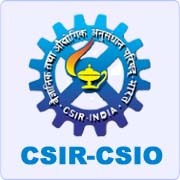 PA Level-III Vacancies – Last Date (Interview) 08 February 2019 (Chandigarh, Punjab), Central Scientific Instruments Organisation (CSIO) recruits PA Level-III Posts. Candidates with M.Pharma/M.E./M.Tech. experienced can apply. Strong background of polymeric nanomaterials and magnetic graphene nanocomposites synthesis and characterizations, Nanotechnology and Processing — Electronics, Design of ion-exchange chromatographic experiments, optimizations and methods development. Problem formulation and solving skills. Data analysis & interpretation.